If the final Berkeley IGS poll before Tuesday’s preliminary election is correct, the California governor’s race will pit Democratic Lt. Gov. Gavin Newsom, the former mayor of San Francisco, against Republican businessman John Cox of Rancho Santa Fe. The survey suggests Democrat Antonio Villaraigosa, the former mayor of Los Angeles and speaker of the Assembly, has failed to capture enough Latinos and voters from the L.A. area to make it into the runoff. According to the survey by the Institute of Governmental Studies, Newsom stands at 33%, Cox at 20%, Villaraigosa at 13% and Republican Assemblyman Travis Allen at 12%. Had the finding come from the late-lamented Field Poll, we’d bank on it. But as we’ve noted before, polling in California – with reliance on constructed samples of online voters and some that require those chosen to take email surveys – is still a work in progress. This is especially a problem in predicting the outcome for candidates whose primary appeal is to voting populations who are less likely to be online or willing to click onto an internet survey. Like Latinos, perhaps? Maybe IGS is Right What offers some comfort about the IGS email poll is that it’s similar to the findings by the Public Policy Institute of California’s last poll – a traditional random-digit-dial telephone survey (but not with known likely voters) which had the race at 25% for Newsom, 19% for Cox and 15% for Villaraigosa. Mark DiCamillo, the former director of the Field Poll who now runs polling by IGS at Berkeley, and Paul Mitchell, of Political Data Inc., which supplied the sample of voters with email addresses, are professionals with no ax to grind. But the survey’s methodology – one that DiCamillo himself used to reject before rising costs caused a foxhole conversion – relies on complex weighting of results and past voting histories to create a simulation of the expected June voter population. So, first, IGS was sampling only registered voters for whom they had an email address – something not required of all voters. Then, those people contacted had to opt into the survey by going online to take the survey. This is anything but random; it’s a self-selected group of individuals for whom Political Data Inc. had an email address. Big Weights Then, once the results were collected, “post-stratification weights were applied to align the larger registered voter sample to a wide range of political and demographic characteristics of the state’s overall registered voter population.” In other words, if IGS collected responses from too many cranky, older, white, college-educated, liberal men from Santa Barbara or Santa Cruz (with nothing to do but take online surveys), we name no names, those cases had to be weighted down to reflect their proper proportion of the known population of registered voters. This is extraordinarily complex. The use of mathematical weights – some inevitably quite large — to align the sample to political and demographic characteristics of the registered voter population is a mixture of math, political science and alchemy. 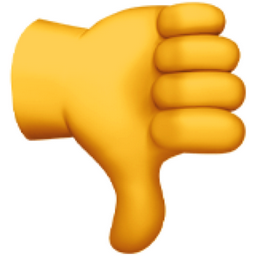 And no matter how you cut it, you can only weight up or down results from the people whose emails you have and who opted to take the time to go online to fill out your survey in the first place. If only older, well-off, college-educated Latinos took the survey, they’re the only Latinos you have to work with. DiCamillo says he went to great lengths to assure that didn’t happen. He says IGS sent 20,000 additional emails to Latinos to be sure to get an adequate and representative sample of this pivotal demographic. 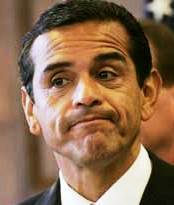 Which brings us to what the survey found that – if accurate – will keep Villaraigosa from making the finals. Home Alone According to IGS, Tony V is drawing just 32% of the Latino vote and a measly 18% from the Los Angeles region where 51% of likely voters hold an unfavorable view of him. His pull in LA is just 2 percentage points better than Cox is doing and about half of Newsom’s 35%. If all that’s true – and it’s hard to believe IGS could have been so wrong – Villaraigosa has done a pathetic job of consolidating his base. Moreover, in an age when most pollsters see education as an increasingly important demographic, Tony V’s got just 12% of those with at least a college education, compared to Newsom with 39% of college-or-more voters and Cox with 18%. If IGS is correct, 13% of the Latino likely voters remain undecided about the governor’s race, compared to just 8% of voters overall. It does seem odd that 39% of the IGS total sample of likely voters had incomes of $100,000 or more and that 33% of their weighted sample of likely voters have incomes that high. But Latinos represented 22% of all likely voters in the IGS sample and about 19% of the likely voters after weighting – which still may in fact be high. So, while Newsom kept his numbers up and steadily increased support among Democrats, and while Cox – with an endorsement from Donald Trump and exposure from Gavin Newsom’s it’s-all-about-me cynical advertising – consolidated support among Republicans, and while Democratic state Treasurer John Chiang continued to snap at Villaraigosa and Newsom, Tony V has gone nowhere – at least in the polls. If it weren’t a top-two primary, it would be Newsom and Cox. It is a top-two primary, and the combination of forces – including Villaraigosa’s apparent inability to crush the opposition in his home base – mean we’ll likely have a governor’s race runoff between a Democrat and a Republican. Which – despite spinning to the contrary from Newsom – will be good for Republicans (who will have a top-of-the-ticket candidate) in marginal districts and bad for Democrats who hope to take back the U.S. House of Representatives.